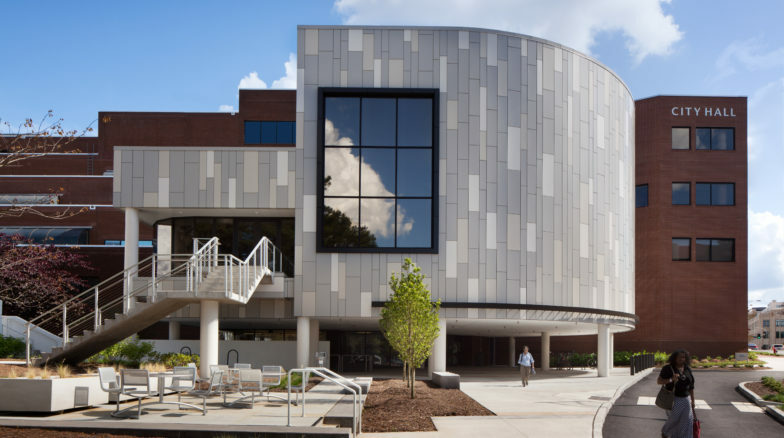 Surface 678 teamed with RND Architects to give the Durham City Hall Annex a more visually appealing exterior. The annex plaza creates a more easily navigable exterior for visitors. 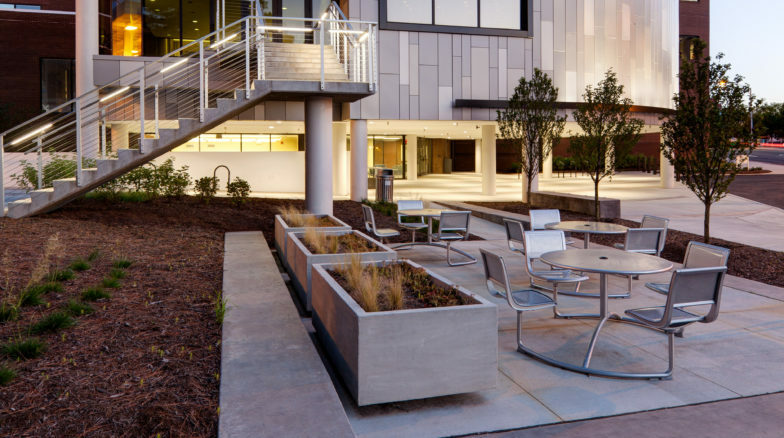 The plaza was revitalized to enable large events, adding seatwalls, a cable trellis, vine structures, planting enhancements, and code-compliant handrails.